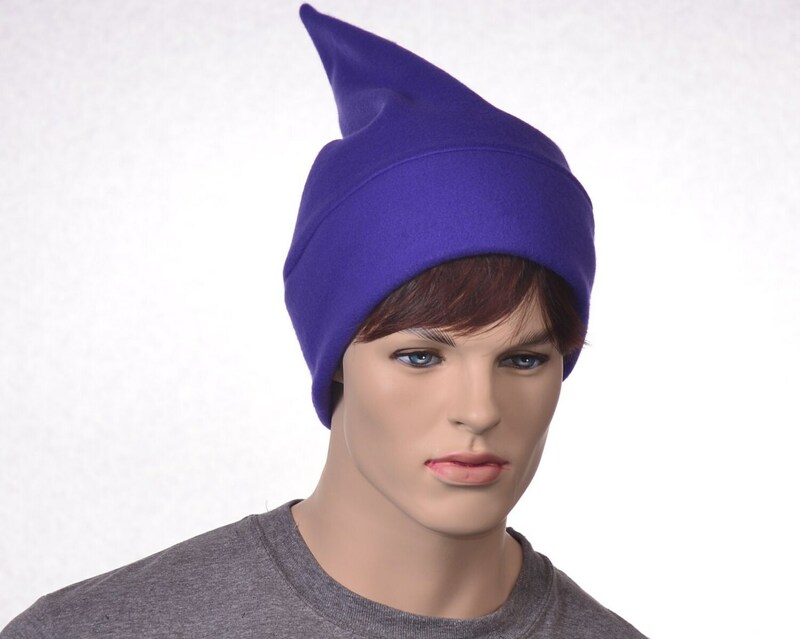 Purple stocking cap which can be worn in many ways. 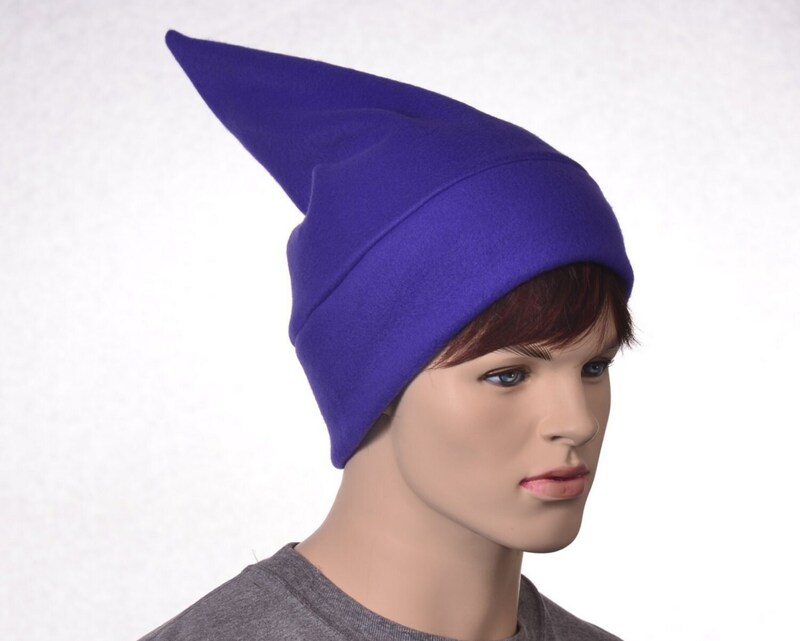 This hat can be worn up as an elf hat. 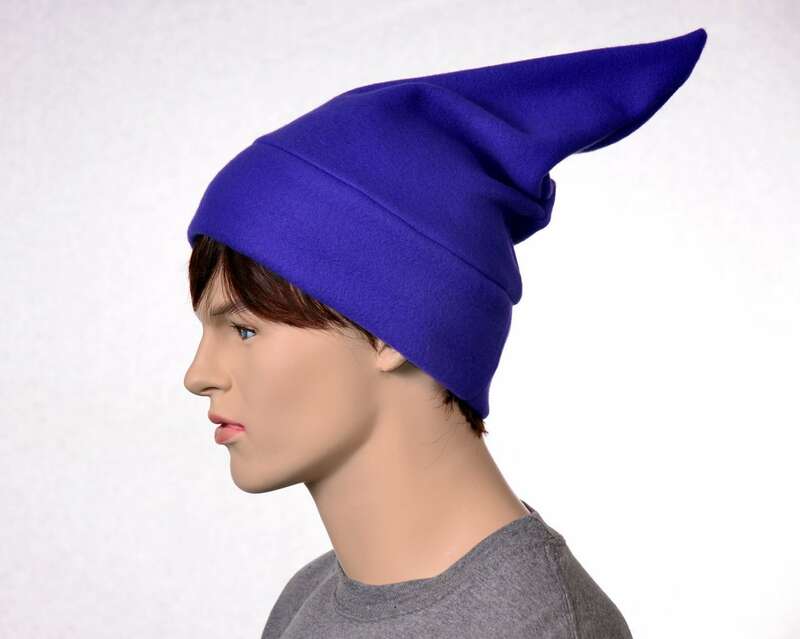 Folded to the side like a phrygian cap or folded to the rear as a stocking cap beanie. 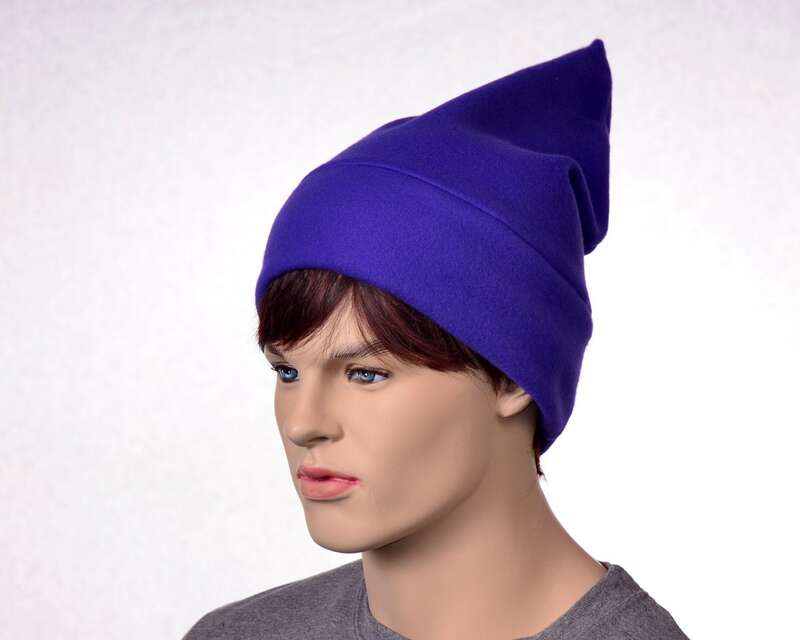 Made from warm fleece with a double thick headband. Measures about 16 inches long. 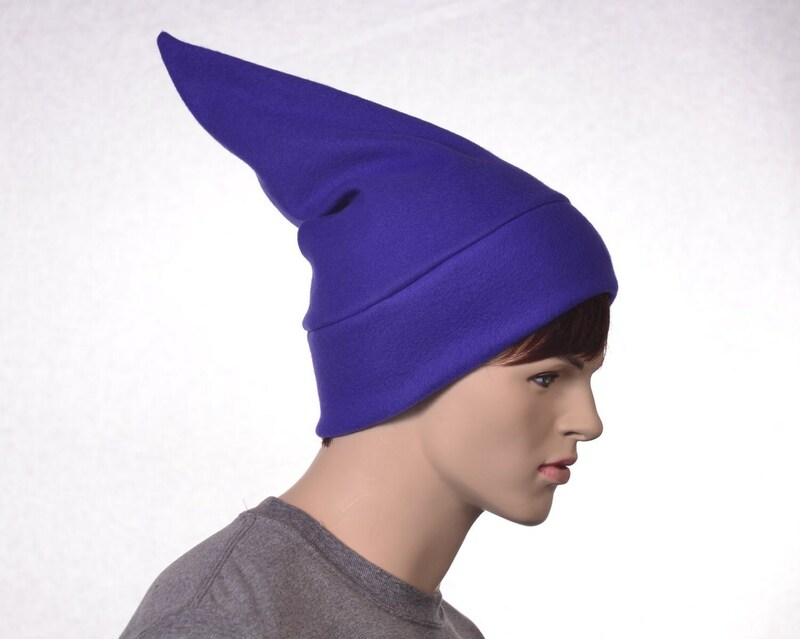 One size fits most adults 22-24 inch head.